When you think of the heaviest, baddest, most in your face metal band around some band names get bantered about, but only one is uniformly mentioned/revered/respected in the thrash metal world time and time again: Slayer. As part of the Big 4 that also consists of Metallica, Anthrax, and Megadeth, Slayer has scorched their way around the globe in tour after tour in a career that spans over 35 years. 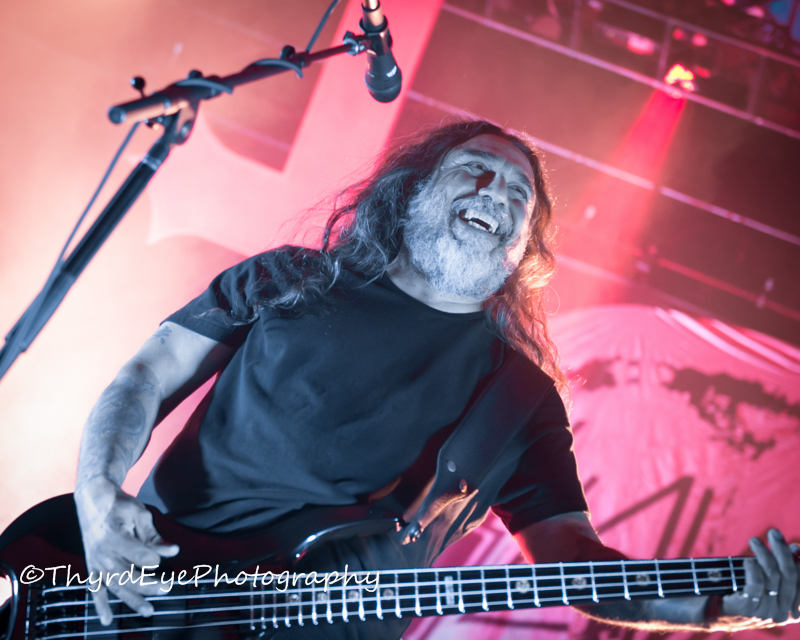 Along the way Slayer has melted fans’ faces with twelve studio albums, numerous live records and videos, and played in front of millions of fans, setting a standard few could even try to follow. They can also count six tribute albums dedicated to the masters of metal, as well as even making an appearance on The Tonight Show, something few, if any could have ever imagined. Their current tour is the End of Days Tour, and will be the band’s swan song. They are making a stop in Saint Louis at the Hollywood Casino Amphitheatre on August 9 and will have a monster lineup to give a proper send off to the band that has influenced so many of today’s artists. 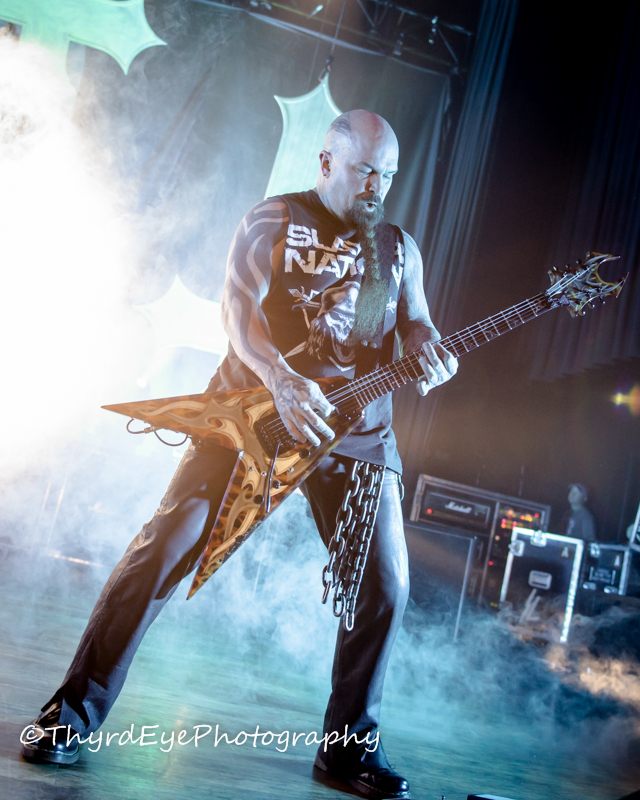 Slayer has been a part of some of the biggest tours in history, and their final tour is no different. 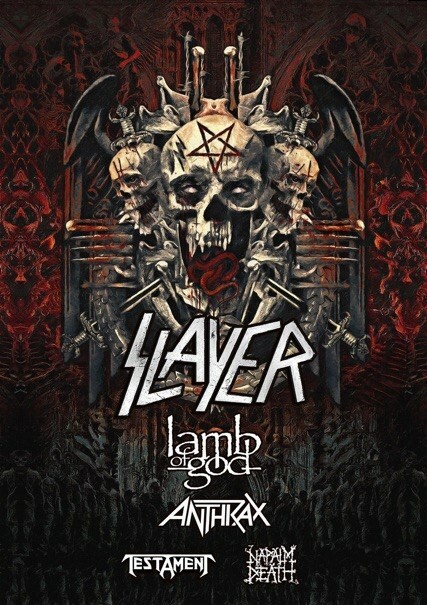 Joining Slayer will be fellow Big 4 mates in Anthrax, heavy hitters Lamb of God, veterans Testament, and Napalm Death, who will round out one of the most epic shows one can imagine. I covered my first Slayer show in 1990, during their Clash of the Titans Tour (with Anthrax, Megadeth, and Alice In Chains), which still ranks as one of my favorite tours of all time. This tour is looking like it will top that tour. Amazingly, some tickets do remain for the Saint Louis show. Don’t hesitate on this show, you will never get another chance to see them live.